The big story of the sports world yesterday, and arguably the biggest sports story of the decade, came out of the NBA. 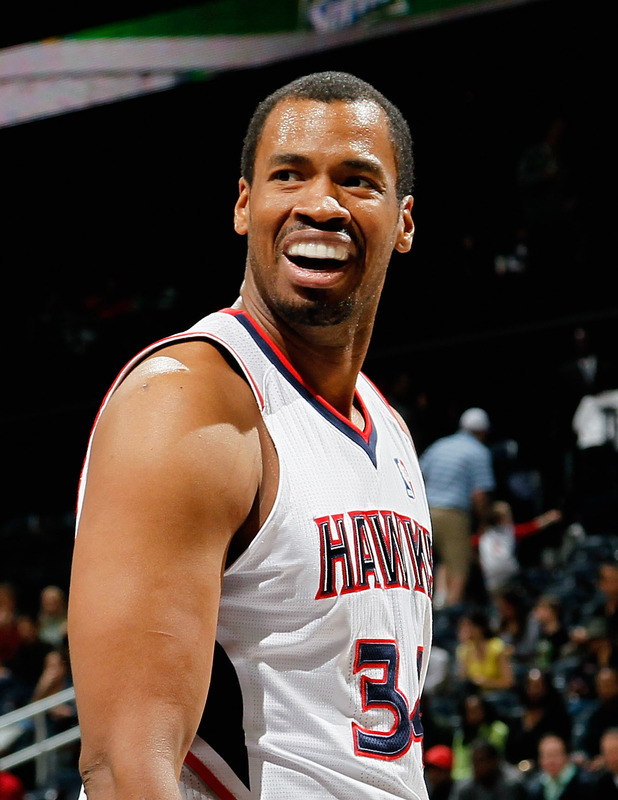 10 year veteran Jason Collins, who has played for few teams and now is currently on the Wizards roster, has become the first active athlete to openly admit he is gay. A few other male athletes have done it in the past, but only after their careers were over, as they couldn’t imagine what it might mean for their careers if they came out. The country is sadly full of homophobia, but that has subsided a bunch in the past decade, and Jason Collins felt that now was the perfect time to come out. An extremely brave and admirable move. Collins is still on the Wizards roster, and definitely has playing years left, so players will have to be tolerant. But yesterday, that didn’t appear to be a problem at all. Many people congratulated Collins, admiring his decision to live his life openly and proudly. This included Wizards GM Ernie Grunfeld and even Kobe Bryant. Kobe said on Twitter, “Don’t suffocate who you are because of the ignorance of others”. Since Collins has come out, he will surely serve as a role model to all gay professional athletes who feel they can’t come out. He has put himself in the history books alongside Jackie Robinson as the “firsts” in sports. Collins said in an interview, “It’s time to start the conversation”. And in the NBA playoffs, the Indiana Pacers may have been dominating the Atlanta Hawks in Indiana in what looked to be a blowout series, but the tune changed once the series headed back to Atlanta. That’s right the Hawks made some serious noise in “The Highlight Factory” in Game 3, absolutely destroying the Pacers. And in Game 4, they did the same. This looks like a completely different team — they have their mojo back. The series now heads back to Indiana, but if the Hawks can miraculously steal that game, they have a chance to win the series in Game 6 back home. Atlanta 102, Indiana 91. Finally, the Bulls were hoping to close out the series against the Nets back in Brooklyn. There is even a rumor, according to Derrick Rose’s brother that Rose might come back for the Heat series. Magic Johnson HATES the idea, saying that Rose shouldn’t risk a potentially dominate 13 year career for one series against an extremely talented Heat team, but it’s hard to keep a superstar (who has been cleared to play) on the bench. Before the Bulls get ahead of themselves, they still have to knock off the Nets. And the Nets made sure that didn’t happen last night, pulling out their best basketball and pummeling the Bulls. Chicago will hope to close out the series on their home court in Game 6. Brooklyn 110, Chicago 91. The NBA Playoffs continued this weekend. 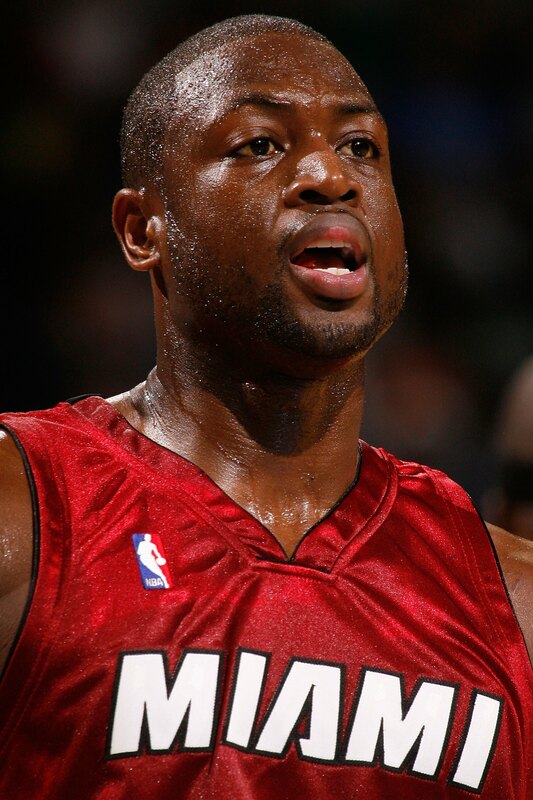 The #1 vs. #8 series in the East, Miami vs. Milwaukee, was expected to be good entertainment. Bucks star guard Brandon Jennings even said that the Bucks would beat Miami in 6 games. You have to love a little trash talk from the little guy, but not only did that not happen, the Heat didn’t even crack a smile. They handled Milwaukee in pure business like fashion — basically not even taking the series seriously and sweeping the Bucks on the Sunday with the ease of doing a simple weekend chore. Even though the Bucks jumped out to an early lead sometimes, none of the games were even close. Now Miami will take on the winner of the Nets/Bulls series, while the Bucks will use this off season to make some strategic decisions to improve. Miami 88, Milwaukee 77. And in Los Angeles, when the Lakers added Dwight Howard, Steve Nash, and Antawn Jamison prior to the season, everybody had them penciled in as the champions. Then, as we saw, they had injuries and chemistry issues, and final the fatal blow was dealt when Kobe blew out his achilles. Some, though, thought they actually might stand a chance in the playoffs — after all, they still have Pau Gasol, Dwight Howard, Steve Nash, and even a red hot Steve Blake. But then more injuries came, they lost Nash, Jamison, and Blake, and were down to playing with D-League guys. On Sunday, it was all she wrote for the Lakers. The Spurs simply slaughtered them again. If that wasn’t enough, what is usually a star-studded crowd in Staples Center, was more of a barren wasteland. The Lakers have something called “Celebrity Row” — a row of about 20 chairs on the court where many celebrities sit. They were all empty during this game. 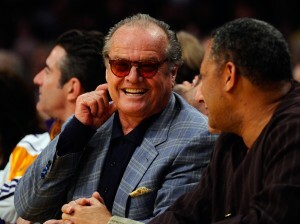 Even Jack Nicholson left after the 3rd quarter. The Spurs advance to play the winner of the Nuggets/Warriors series, while the Lakers have some serious decisions to make in the off-season. Will they be able to keep Dwight Howard? He is a free agent and can play wherever he wants. San Antonio 103, LA Lakers 82. Finally, the other main story of the weekend was the remaining rounds of the NFL Draft. Here were the notable selections. Geno Smith was lauded as a Top 10 pick going into the draft, but he slipped all the way to the second round, where he was finally selected by the New York Jets. This may signal the end for the Mark Sanchez era in New York. Then, most of the other big name quarterbacks didn’t come off the board until the 4th round. Matt Barkley went to the Eagles, and will now play for head coach Chip Kelly. Barkley is one of the only college quarterbacks to beat Kelly’s Oregon Ducks, so Kelly knows how good he can be. Ryan Nassib from Syracuse went to the Giants, while star Alabama running back Eddie Lacy went to the Packers — a team severely in need of a running back. The Packers actually also added UCLA star running back Jonathan Franklin. So they should be pretty well stocked at the running back position for the next few seasons. Later, the Niners took star South Carolina running back Marcus Lattimore, and the Jacksonville Jaguars added Michigan quarterback/running-back/wide-receiver, and all around play-maker Denard Robsinson. But the most intriguing pick of the draft was where would the Honey Badger (Tyrann Mathieu) go? This guy was phenomenal in college, and the talk of the college football world, but drug and alcohol problems resulted in him being kicked off the team. He tried to play in Division 2 and the CFL, but nothing worked. He had no choice but to enter the draft. However, he kept slipping because nobody wanted to take a chance on him. Finally, the Arizona Cardinals took him in the 3rd round. Their reasoning being that they already employ his friend and former teammate Patrick Peterson, and they figure that Peterson can keep the Honey Badger out of trouble. If he does, the Honey Badger is an amazing talent and an excellent draft steal from the Cardinals. In the NBA, the Milwaukee Bucks were hoping to grab at least one win against the Miami Heat as the series headed back to Milwaukee. The arena has banners of Dwayne Wade in the rafters as he went to Marquette, but the fans there definitely weren’t rooting for the Heat. The Bucks got out to a commanding lead, but the tenacious defense of the Heat kept Milwaukee in check for the second half, allowing the Heat to cruise to a victory. Miami 104, Milwaukee 91. And in Chicago, it seemed like the Bulls had found their mojo after Game 2 of the series against the Brooklyn Nets, and they would host Game 3. This was a low scoring affair, but the Bulls defense contained the Nets for most of the first half. But in the second, the Bulls couldn’t buy a bucket, and the Nets came surging back behind Brook Lopez. But thanks to a huge game from Carlos Boozer, the Bulls were able to get just enough to hold on for the win. The Bulls now lead 2-1 in the series. Chicago 79, Brooklyn 76. 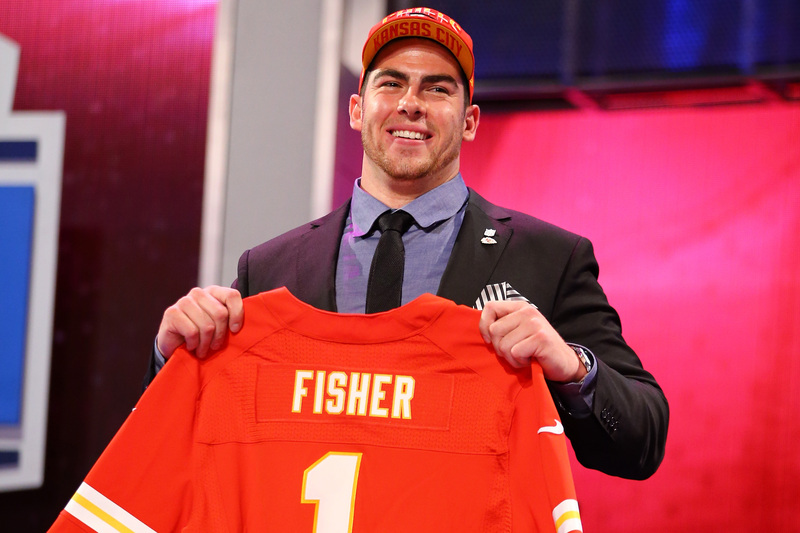 The NFL Draft started Thursday night for three days. After months of “expert” mock drafts telling us exactly who was going where, the pros couldn’t have been more wrong. It was a night of surprises, and hopefully every team got what they wanted. 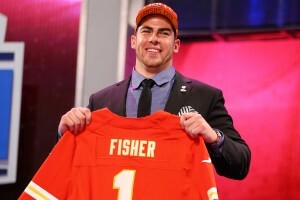 Left tackle (arguably the second most important position in football as it protects the quarterback’s blind side) Eric Fisher went #1 overall to Kansas City, and another left tackle Luke Joeckel went #2 overall to the Jacksonville Jaguars. Other notable picks of the first round were more in the non-picks. Quarterback Geno Smith was long projected to be a Top 5 pick, and when he fell out of the Top 5, most thought he would go to Arizona or Buffalo. But Smith wasn’t even selected in the first round. Same went for Heisman candidate Manti Te’o. He kept slipping and slipping and never heard his name called. And no running back was selected in the first round — that hasn’t happened since 1960. The Rams traded up to take speedy wide receiver Tavon Austin out of West Virginia. The Bengals got a terrific offensive weapon in Notre Dame tight end Tyler Eifert, and the Vikings made the most of the picks they received from trading Percy Harvin to Seattle by taking some highly touted defensive players (Sharriff Floyd and Xavier Rhodes) and hopefully replacing Harvin with Tennessee wide receiver Cordarrelle Patterson. The only quarterback in the draft went to Buffalo at the 16th pick, but it wasn’t Geno Smith or Matt Barkley, it was Florida State QB E.J. Manuel. He will be a fantastic edition to the Bills, and likely will start on opening day. The draft continues Friday night with Rounds 2 and 3 on ESPN. Expect to see more offensive players taken. The playoffs continued in the NBA with three games on the docket. First up, it was Game 2 of the Oklahoma City Thunder vs. The Houston Rockets. The Thunder grabbed Game 1, but the Rockets were looking for revenge in Game 2. 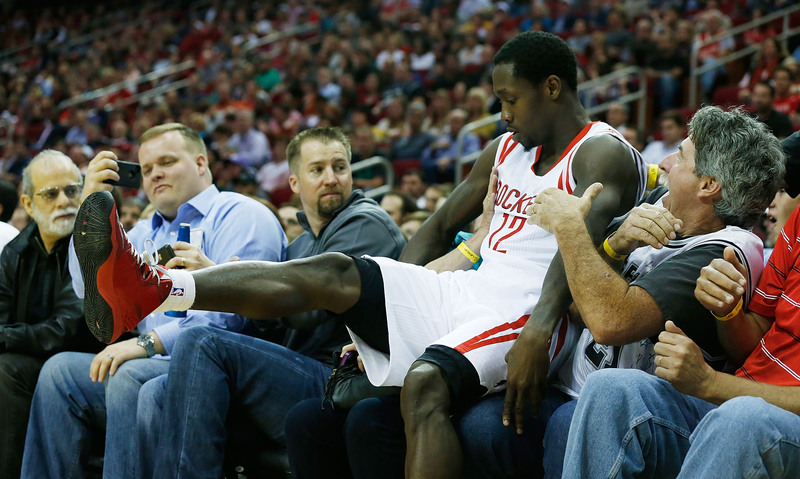 One of the big story lines for the Rockets was point guard Patrick Beverly. Beverly played overseas for a few years, and now is finally getting a shot in the pros. He made his first career start and was absolutely fantastic. He gave Thunder point-guard Russell Westbrook fits, even knocking him down accidentally. These guys did not like each other from the start. Jeremy Lin suffered an injury late in the first half and would not return, but the Rockets kept it close until the very end. Unfortunately, they’re still a young team and got the jitters, and the Thunder were able to hold on for a win. OKC 105, Houston 102. Next up, it was Game 2 of the Atlanta Hawks and the Indiana Pacers. Out of all the first round match-ups, this one has struck fans as likely the least interesting and has been ousted to NBA TV for most of the coverage. The Pacers are a solid team, but the Hawks are sloppy, and nobody really thinks they have a chance this post-season. For the second straight game, the Pacers dominated behind solid performances from Roy Hibbert and Paul George. This really looks like a practice series for the Pacers. The Pacers easily grabbed a win, and the series now heads back to Atlanta. Indiana 113, Atlanta 98. Finally, it was Game 2 between the San Antonio Spurs and the Los Angeles Lakers. 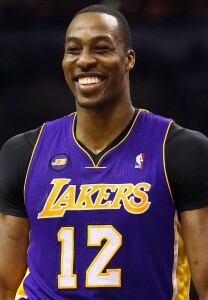 Of course the Lakers are without Kobe, but they still have 3 all-stars in Steve Nash, Pau Gasol, and Dwight Howard. And when you have those weapons, you never really know your ceiling. However, the Spurs have their own share of all-stars and definitely have visions of raising a championship trophy at the end of the season. They are on a mission. Dwight Howard and company put up a fight, but it’s very hard to stop the Spurs when they are on a run. And they had a run at the end of each quarter. The series now heads back to LA, and the Lakers will need to fight tooth and nail to win these next two games. San Antonio 102, LA Lakers 91. In the NBA, the playoffs continued. First up, it was LeBron and the Heat defending their home court against a pesky Milwaukee team. This time, however, the Bucks kept it close all the way through the 4th quarter. They even probably thought they could steal a game from Miami in Miami. They of course let their imagination get the best of them, and watched as the Heat sailed to an easy win in the fourth quarter. A valiant effort however for the Bucks. Miami 98, Milwaukee 86. 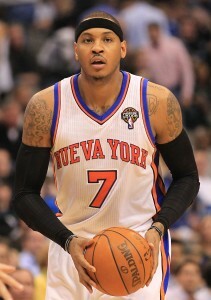 Then, it was Carmelo Anthony and the Knicks defending Madison Square Garden against the Celtics. The Celtics kept this one close in Game 1, but in game 2 it was a different story, as it’s pretty clear that the Knicks are on the up and up, while the Celtics look old and ailing. Paul Pierce and Kevin Garnett had off-shooting nights, while Carmelo Anthony was on fire for the Knicks, and the Celtics simply had no answer for him. The Knicks cruised to a win and took a 2-0 lead in the series. Finally, it was Game 2 between the Warriors and the Nuggets. A lot of people thought this series would be close considering that offensive firepower the Warriors had, but the Warriors lost their all-star David Lee in Game 1, and it’s uncertain when he will be back. So if they expected to steal a game from Denver IN Denver, where the Nuggets are pretty much impossible to beat, they would have to have an amazing offensive performance. Fortunately for the Warriors, they have Stephen Curry, a guy who has absolutely no ceiling every night. Curry looked great, putting up 30 points and 13 assists and absolutely punishing the Nuggets. The Warriors got the job done, and head back to the Bay Area with the series tied. Golden State 131, Denver 117. And in some other NBA news, things may not have worked out in Los Angeles, but Mike Brown has found another coaching job. And this is money for Brown ON TOP of what the Lakers had to pay him for firing him. Brown is actually headed back to Cleveland, a place where he made a name for himself coaching LeBron for 7 seasons. The Cavs have a young team full of promising talent that Brown could mold into a legitimate playoff team. This is the perfect fit for Brown, and he will probably be there a long term. In the NBA, the playoffs resumed, as it was Game 2 between the Chicago Bulls and the Brooklyn Nets. The Bulls came into Game 1 with absolutely no energy, and their coach called them out. So they did everything they could to prepare for and bring the correct enthusiasm to Game 2. Carlos Boozer grabbed rebounds all over the place, and Luol Deng turned into a leader on the court with 15 points and 10 rebounds. Meanwhile, Deron Williams played an awful game for the Nets. Brook Lopez and Joe Johnson had a solid game for Brooklyn, but it just wasn’t enough, and the Bulls evened up the series at a game a piece heading back to Chicago. Chicago 90, Brooklyn 82. Elsewhere in basketball, it’s awards season, and the major awards are starting to role in. The first one: Best Sixth Man. This award is given to the guy who comes off the bench and gives the team the best spark. Usually his team uses him to over match and overpower the other team’s bench. He’s the guy who’s basically a reliable game changer. This award has gone to James Harden in the past considering he’s an all-star coming off the bench, but with Harden now a starting star on the Rockets, the award was up for grabs. 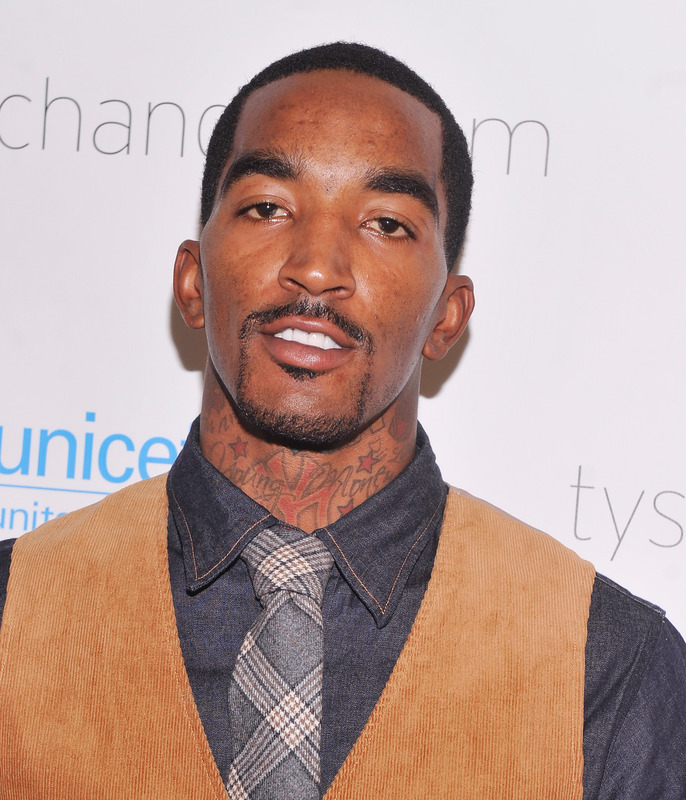 This year, it was awarded to the Knicks J.R. Smith. Smith was fantastic this season as the first man off the bench for the Knicks. He’s deadly from three-point land, and can also cut through the lane with dangerous precision. In other words, he was a serious threat, and a huge contributor to the Knicks. Congratulations to J.R. Smith. And in the NFL, an interesting impact in Las Vegas. Most trades don’t affect the NFL Futures odds much. For example, when the Kansas City Chiefs got a proven starting quarterback in Alex Smith and a proven winning coach in Andy Reid, it didn’t affect their Super Bowl Odds. However, when Darrelle Revis was traded to the Tampa Bay Buccaneers, it affected everything. Suddenly, the Bucs Super Bowl odds improved from 50 to 1 to 40 to 1, while Rex Ryan’s Jets saw Vegas’ lack of confidence. After losing their only star player in Revis, the Jets Super Bowl odds plummeted from 50 to 1 to 100 to 1. That’s basically saying that the Jets definitely won’t win the Super Bowl. Can the Jets use this ‘nobody believes in us’ energy to shock the world next season? In the NBA, the playoffs were underway this weekend. The #2 Knicks kicked things off against the #7 Boston Celtics. This is likely the Celtics last chance to win with their Paul Pierce/Kevin Garnett nucleus. Unfortunately, they don’t have Rajon Rondo to try and make a run this year. Meanwhile, the Knicks are playing better than ever. The Celtics kept it close in the first half, but the Knicks got their act together in the 2nd and pulled out a victory for Game 1. NY Knicks 85, Boston 78. Then we got to see the #3 seed in the West, the Denver Nuggets take on a new addition to the post season, the #6 seed Golden State Warriors. These are two offensive powerhouse teams, and some think that the Warriors may be able to pull an upset in this series. While that might be the case, first they had to win a game in Denver. Warriors point-guard Stephan Curry had a terrible game in the first half, but the Warriors still kept it close. This game actually came down to the last position when Andre Miller, the Nuggets 37-year old point guard drove the lane and hit a last second layup to win the game. The Nuggets stay hot at home. Denver 97, Golden State 95. And on Sunday, the Lakers were hoping to continue their hot streak and try and steal a game from the Spurs in San Antonio. The only problem is they were playing without their offensive fire power from Kobe Bryant. So even though the Spurs played a rather lackluster game, they still had plenty to contain the Lakers and get the job done. They were able to shut down Dwight Howard, and make the Lakers back court beat them. The Lakers back court is not their strongest component, and they simply couldn’t get enough points to keep the game close. The Spurs take Game 1. San Antonio 91, LA Lakers 79. And finally, with some news out of the NFL, it looks like the Jets had no choice but to part ways with their star cornerback Darrelle Revis. This had been a rumor for a long time, but Revis wanted out, and the Jets didn’t want to keep an unhappy camper on their roster. So they shipped Revis to Tampa Bay for a 1st and 3rd round draft pick. 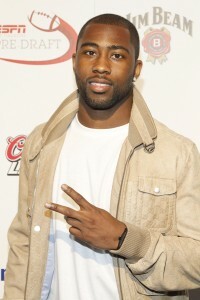 Revis will certainly help the Bucs, a team that has been upgrading their defense in the off-season. Plus, the Bucs have a young offense that is primed to finally spark to life this season. The Jets didn’t get the best deal, but those high draft picks are definitely going to help them improve. And in the NBA, Wednesday marked the finale of the regular season. The main storyline was whether the Jazz or Lakers would make the playoffs. The Jazz needed to win in Memphis, and then had to hope that the Lakers lost to Houston. A conceivable situation considering that Utah is a team on a mission, and a Lakers team without Kobe Bryant is no surefire win. Even though they needed the win, the Jazz got crushed by the Grizzlies, which meant that the Lakers locked up a playoff spot. But the Lakers game still had stakes, because the Lakers and Rockets were fighting for the #7 seed and the right to play the Spurs (and not the red hot Thunder). The Lakers were resilient, and it took an overtime, but they beat the Rockets. That’s a 2-game winning streak without Kobe. So the Lakers will get the Spurs and the Rockets will get the Thunder. Memphis 86, Utah 70. LA Lakers 99, Houston 95. And finally, in some retrospective NBA history, there is no information on the famous Jordan “Flu” game. 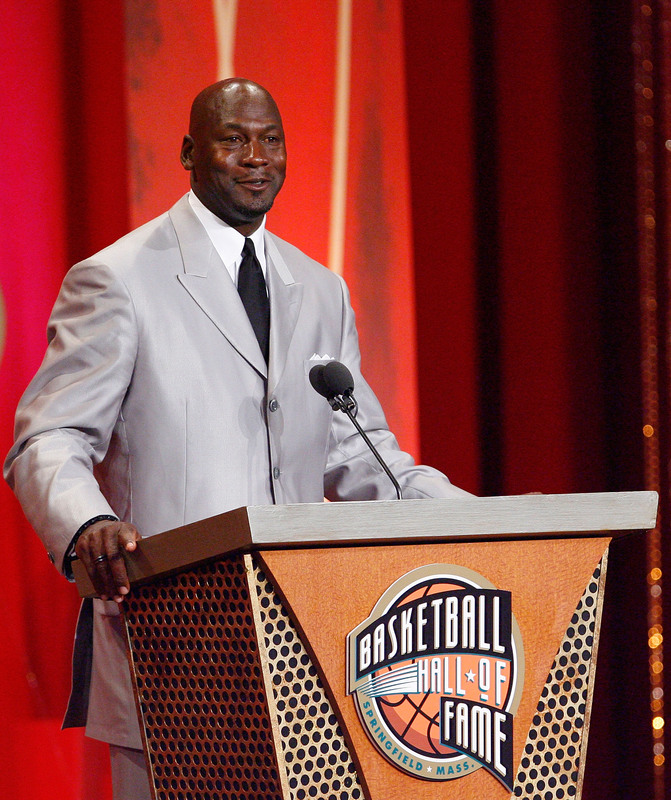 To remind you, Michael Jordan played in a championship game against Utah with the “flu”. He willed the Bulls to a win despite being sick as a dog. As the years have passed, many have speculated whether Jordan actually had the flu, or if he was just seriously hungover. Now, Jordan’s old trainer has brought some new possible evidence to the table. He said that Jordan didn’t have the flu, but was poisoned. He told a story of how Jordan was very hungry the night before the game. There was nowhere open late except for pizza delivery. It was well known where the Bulls were staying in Park City Utah, and the trainer said it was very weird that 5 people came to deliver one pizza. Jordan is the only one who ate the pizza. Later that night, Jordan called the trainer and said he was shivering in his bed. He can’t prove it, but the trainer thinks that the pizza was poisoned. An interesting take. The major story yesterday happened at the Boston Marathon. Four hours after the race finished, someone detonated explosives near the finish line. Over 100 people were injured from the blast, and three were killed. People at the marathon described the scene as horrifying. Unfortunately at this point we don’t know of any true suspects and any motives. President Obama released a statement at around 3:10pmPT Monday saying that they don’t know who did this, but when they find out, they will feel the full weight of justice. The Boston Marathon is a sacred tradition in New England, and the fact that something like this happened is just a shock to the public safety of the United States. Our thoughts go out to the victims and the victim’s families. This is going to take a while to sort out, but hopefully the police and FBI will determine the cause and culprit. Boston is taking things slowly as of now. They cancelled last night’s Bruins game and tonight’s Celtics game. Our thoughts go out to all the victims. In the NBA, there were a few games last night with playoff implications. First, the Oklahoma City Thunder edged the Sacramento Kings to secure the #1 seed in the Western Conference. And in a post-season that’s going to be extremely competitive having home court advantage in the Western Conference Finals (assuming they make it there). Also, the Utah Jazz knocked off Minnesota to keep their playoffs hopes alive. So here’s the situation: The Jazz have to beat Memphis in Memphis if they want to have a shot at the playoffs. But if they win, they need the Lakers to lose. And the Lakers will have a relatively tough match-up against the Rockets in LA. But the Rockets will be looking to fine tune their skills before the playoffs. Should be interesting to see how it all shakes out. OKC 104, Sacramento 95. Utah 96, Minnesota 80. Finally, Monday was the WNBA Draft, and everyone knew who was going #1 overall….Brittney Griner, arguably the greatest female player to play the game. Griner was drafted by the Phoenix Mercury and should bring even more awareness to the league. However, it’s still possible that Mark Cuban could draft Griner to the Mavs. Long shot, but possible. #2 overall was Elena Delle Donne from Delaware. She went to Chicago. And at #3 it was Skyler Diggins from Notre Dame. She’s off to Tulsa. That league is getting packed with talent. We were treated to a very exciting weekend of THE MASTERS. Coming into the final day, the leaders were a few Australians (Jason Day, Adam Scott), and Argentinian (Angel Cabrerra) and of course Tiger Woods. This is an incredible event to watch, as hitting in the water or missing a putt can drop you completely out of contention. That could mean the difference of a few hundred thousand dollars or nothing. Once the Contenders got down to the final stretch, some amazing shots put just two guys in the lead: Adam Scott and Angel Cabrerra. Tiger finished at -5 and still brought home $352,000, but unfortunately not good enough to wear the famous Green Jacket (the sports coat the winner gets to wear). Adam Scott sunk an amazing putt that he thought would put him in the lead, but then Cabrerra hit a spectacular pitch that would keep things even and require a playoff. In fact, they needed two playoff holes. And on the second, Cabrerra had a beautiful putt, but it was just a half-an-inch short of going in. 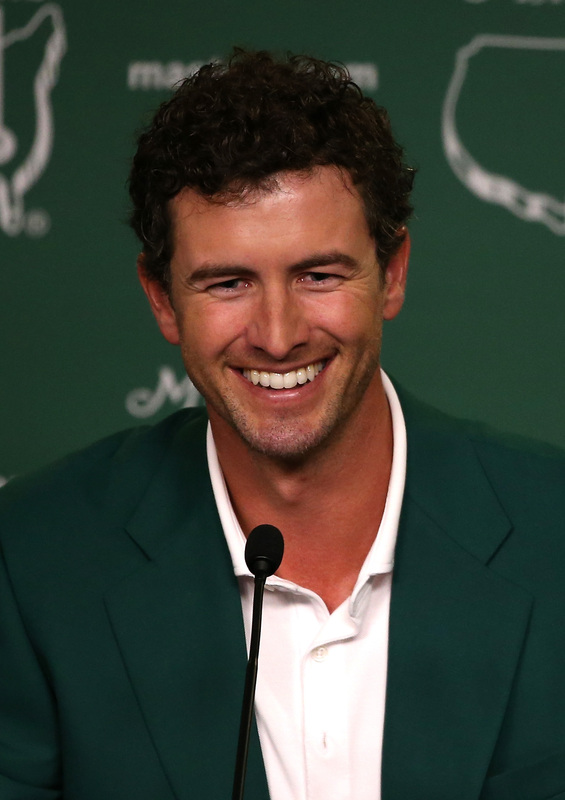 That opened the door for Scott to hit a relatively easy shot to win the 2013 Masters. That is the first Masters win for the country of Australia. Aussie Greg Norman came close a few times in the 90s, and Scott used to watch those. When Norman lost, Scott said he would be the first Australian to win a Masters. On Sunday, he did. Just a great weekend of golf. In the NBA, the major news came out of Los Angeles. The Lakers desperately needed a win against the Warriors if they wanted to get a chance to make the playoffs. Down the stretch, the Lakers, of course, looked to their leader Kobe Bryant. But, with just 2 minutes to play, Kobe made a routine move, and… couldn’t get up. 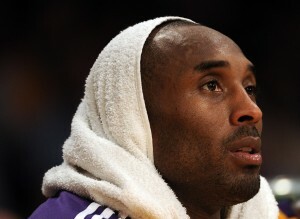 It turned out that Kobe had torn his Achilles Heel. The Lakers did go on to win the game, but the future on Kobe is now very uncertain. Doctors said it will take at least 6-9 months to recover from that injury, and there is no certainty that Kobe will be in a Lakers uniform if he does come back from that. There is even a chance he could retire. This is really upsetting news for Kobe and Lakers fans (and honestly anyone who’s had an achilles injury…it’s a tough recovery). LA Lakers 118, Golden State 116. And in the NFL, long time Steelers star linebacker James Harrison was recently released by the team. And while Harrison does have some behavioral issues, he’s still a great talent looking for another opportunity to prove himself. It looks like the Bengals may be the team to give him that chance. The Bengals are a team on the rise, and adding a guy like Harrison could be another component that could help them capture that AFC North Division. This could be a great signing for the Bengals.